Children in Haiti don’t have much to call their own. A backpack for their personal belongings and school supplies is a wonderful gift. 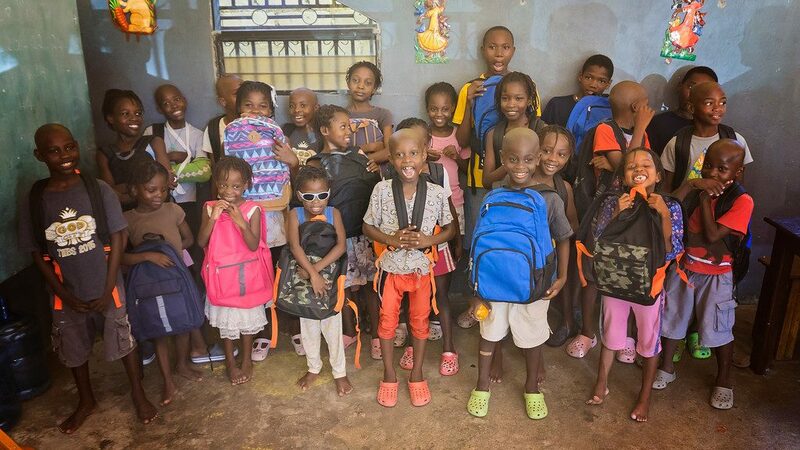 A donation of $15 allows us to purchase a backpack and transport it to Haiti. One day, we would like to see quality backpacks manufactured in Haiti, but until that time, we will import these for the kids. Choose to donate one or more backpacks to a child. Backpacks will be distributed in Croix des Bouquets and at the Chanje Lakay shelters. Because the Chanje Movement is the humanitarian outreach of The Global Mission, a U.S. nonprofit 501c3, all contributions for backpacks are tax deductible to the extent allowed by law.